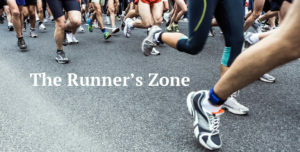 The Runner’s Zone private Facebook group is an international, interdisciplinary group consisting of coaches, clinicians, trainers, nutritionists, researchers, physicians, and passionate athletes. Our goal is to serve as the ultimate resource when it comes to helping runners enjoy consistent and healthy training while reaching their very best in the sport. We can’t wait to share everything that we’ve come to learn and appreciate when it comes to helping runners of all ages and abilities across the injury to performance spectrum. As a member you will get to enjoy a wealth of information in the form of frequent live videos, Q&A sessions, numerous infographics, running analysis videos. You will also be able to pose questions to the group and become part of a powerful network of upbeat professionals from around the world.